Daly City may sit in the shadows of San Francisco, but it rises above the rest with its fantastic beaches and breathtaking views. Thornton State Beach is great for hiking and horseback riding, but it’s not currently open to the public. Only locals have access, due in part to the many landslides. Meanwhile, dramatic bluffs mark one of the area’s hidden gems. Just ten minutes from Downtown San Francisco, Burton Memorial Beach is famous for it’s cool ocean breeze. Read on and take a visit to Daly Cith Californa! For all the great area beaches, click here. Average temperatures in Daly City vary little. If you’re looking for the very best (warmest) time to visit Daly City, the hottest months are July thru September. The temperature high is 78.4°F with temperatures rarely dropping below 57.1°F at night. The busiest months for tourism June thru August. Prices for hotels and flights will be at their highest during these months, though you can save if you purchase well in advance. The infamous Alcatraz Island is located in the middle of San Francisco Bay. It doesn’t have any beaches, but a visit to “The Rock” is still worth the price of admission. In the mid-1800’s this island was Fort Alcatraz a military facility that was part of a three-point defense strategy for San Francisco Bay. Later in 1934 it was converted to Alcatraz Prison, a federal penitentiary. Crossing the strait of the Golden Gate from San Francisco’s Presidio to the Marin headlands for 1.7 miles is the world-renowned Golden Gate Bridge, easily identified by its International Orange color. The single-suspension span is anchored by twin towers that reach skyward 746 feet, and was once taller than any building in San Francisco. To support the suspended roadway, two cables, each more than 7,000 feet in length stretch over the top of the towers and are rooted in concrete anchorages on shore. Want to get out of San Francisco for a day to hidden beaches and trails? For the price of a bridge toll, you can have lots of outdoor options with easy access. The Marin Headlands are a short drive across the Golden Gate Bridge just minutes from downtown. Biking is another great way to get here if you have a bike or can rent one. Make sure to also check out the Point Bonita Lighthouse. The Devils Slide Trail uses the old Highway 1 road along the stretch known as the Devil’s Slide. This section of the highway was eventually replaced with a double tunnel south of Pacifica to connect San Francisco to the Half Moon Bay area. 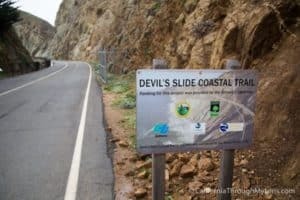 The Devils Slide Trail is a wide paved path that meanders for 1.3 miles along a steep cliff face high above the ocean. It is a popular route for bikers, runners, and walkers. Thornton State Beach is a remote beach below tall bluffs just south of San Francisco. The park is known for the hiking and equestrian trails on the bluff terraces high above the waterline. Bring a coat if you plan a trip down here as it can be windy, foggy, and cold. This hotel is within a 10-minute drive of Pacifica Pier and Ocean Beach. Make yourself at home in one of the 86 air-conditioned guestrooms with free WiFi access, cable programming and complimentary toiletries and hair dryers. Conveniences include desks and complimentary newspapers, and housekeeping is provided daily. 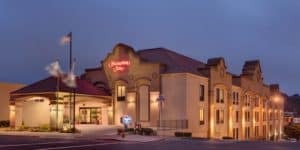 For more information, pricing, or to reserve your room visit the Hampton Inn San Francisco Daly City. 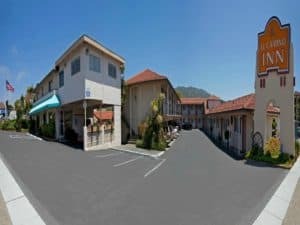 The European-style Alpine Inn & Suites is not far from downtown San Francisco. This is a unique European hotel with a refreshing dash of American. For more information, pricing, or to reserve your room visit the Alpine Inn & Suites. 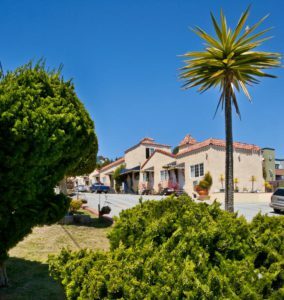 The budget traveler’s answer to high-priced San Francisco hotel rooms, this 36-room charmer in Daly City just minutes from downtown San Francisco hits on all the right notes. Behind its 60s-era facade are fun guest rooms, and the decade’s favorite tunes. And while the hotel pays homage to a bygone era, its thoughtful services and high-tech amenities are the modern day marvels today’s freethinking travelers expect. For more information, pricing, or to reserve your room visit Milo Hotel. The El Camino is located in Daly City, the quiet suburban side of San Francisco. 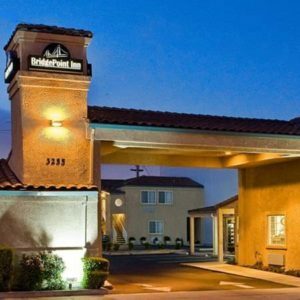 For business or pleasure the Inn provides a comfortable and central location for your stay in the Bay Area. They offer the best guest service and a variety of amenities to make your stay comfortable and convenient. Experience a memorable and worry-free vacation or business trip in the heart of Daly City. For more information, pricing, or to reserve your room visit the El Camino Inn. Make yourself at home in one of the 35 air-conditioned rooms featuring flat-screen televisions. 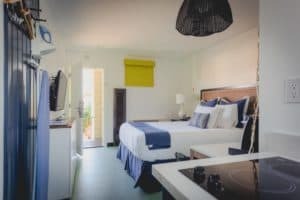 Complimentary WiFi and satellite programming is available, as well as private bathrooms with shower/tub combinations with complimentary toiletries and hair dryers. Housekeeping is provided daily, and irons/ironing boards can be requested. For more information, pricing, or to reserve your room visit the BridgePoint Inn. Wow! Daly City looks incredible. I will have to check it out. I have been to a lot of places on the California coast, but never there. The Surf Lounge sounds like an excellent place to party. The name is so inviting for me. I do have a question though. What is the surfing like in Daly City? 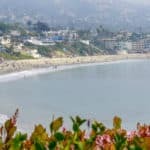 I surf in Santa Cruz and I would like to check out other places. Since it is up the coast, I imagine the swell is a lot larger. Thanks for visiting Alex! Yes, you will find the surfing to be just as great here as in Santa Cruz. Shoot this whole area is great for surfing. You would not be far from the Mavericks! Hi! I have always received good advice each time I have visited your site. And I have become a regular visitor. And with this post you deliver very useful points, as always. I like to consider more than one destination, when planning vacations with my family. And although I hadn’t considered Daly City, after reading your post, it has become an option. I have never been to the world-renowned Golden Gate Bridge, nor my family (can you believe that?). 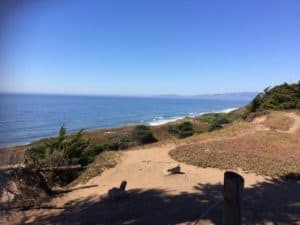 I’d also like to visit the hiking and equestrian trails at Thornton State Beach. So, I’ll put Daly City on the table. Great Henry! Thanks for your visit to my Daly City California post. 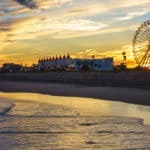 I’ve truly enjoyed this article as I found it to be very helpful due to its short and informative descriptions of each aspect of Daly city, whether that would be the great weather analysis which You provided here, or detailed representation of places & hotels to visit & book here in Daly City of California. I’ve never visited an USA, however visiting it it is definitely on my bucket list and I can’t wait to have an opportunity to visit it one day! 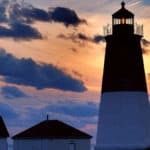 As far as the actual city Daly goes, well I have to say- I am very impressed by the amount of very awesome and captivating activities and places there are to visit and participate in. I would be particularly interested in driving through The Golden Gate Bridge because in my eyes it’s one of the most gorgeous bridges that exists out there, especially during night time, and to be a part of witnessing it in real life would truly mean a lot to me! I would also really admire going to Thornton Beach State Park to do some hiking as I am huge fan of this activity and I always look forward to hike in new and undiscovered territories to seek some inspiration and stress relief! 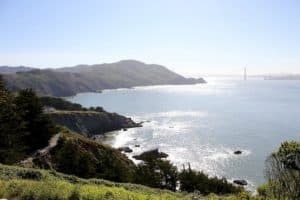 Spending a beautiful sunny day at Marin Headlands would also be fantastic, particularly due to its stunning landscapes, sceneries and views. Sounds like you are ready to go! I am glad you enjoyed your digital visit to Daly City California! What a great article. I am also from Canada, but have visited San Fran, San Diego and LA. I too love California and its amazing weather. It would be nice to know if you have any or if there are any traffic tips if you rent a car. I had about 1.5hr drive turn into 6 hours from the high desert to Riverside one day. Boy, that is one thing I can’t give you Braden, is traffic tips. I am not sure what kind of tips you are looking for. I would assume that traveling during rush hours is when you are going to find yourself stuck in it all. If you have been to San Fran, then I assume you have been to Daly City? Wonderful beach community! Travellers who enjoy the sun and the sea will find very useful information about beaches around the world. I like the short and sweet descriptions of the exotic beaches with their breathtaking views.You have also put together info about several hotels and resorts. I like the loyalty programs which rewards travelers. The package deals will certainly spare the would-be travelers the hassle of looking for an affordable one. Then there is useful information about water sports and gear for those who love sea sports. Cruise lovers will also find your site very interesting and informative. Thank you for your kind comments Rubicon and for taking the time to leave them for me. Glad you enjoyed visiting beach travel destinations. The temperature sounds a lot like Monterey. I lived there for a bit. It was often foggy. When the fog cleared and was sunny, we’d all get sunburned because we were caught unprepared, haha. Places like this with comfortable temperatures are great. I love being able to go outside and not have to worry about being too hot or too cold. And I didn’t know Alcatraz was originally a defense point. That’s cool. Yes, very similar to Monterey 🙂 And I do the same thing. But hey, I would rather live in the sunshine than somewhere cold any day. Thanks for stopping by! I must say that this looks like a very nice destination to visit. I have never been there although I visited many countries in America. I like the weather and I would like to go there in July as I have a job vacancy for one month. I will definitely come back if I decide to go there. Thanks a lot for sharing such nice destination. You are welcome Daniel. Thanks for visiting my Daly City California post. Please let me know if you need any further information. I love the area of San Francisco and always wanted to see “The Rock” since have seen lots of documentaries about it. Daly City seems to be a lovely place to just do this and discover all the beauty and myth. I appreciate the review of all the different Hotels it certainly makes it easier to find the right one and I love the tips of where to go throughout the day or the interesting nightlife. You are quite welcome Sylvia. Thanks for visiting beach travel destinations. Thanks for this beautiful and informative post. With what I have read here, Daly City is a place that I definitely want to visit. A place for me to just go and relax at. You have a lot of wonderful vacation choices here for me to choose from. I love natural habitat. I will also share your wonderful site with others that I know would love it. Thanks. Thanks for visit my Daly City California review and I hope you get to visit soon! I was happy to see that September hit within the warmest months in Daly City. I like warm, and we usually travel in September when the kids are back to school so places aren’t so busy and oftentimes expensive. Our kids are grown now and the babies aren’t in school yet, so we’ve focused on September. I’m not sure I’d venture out to Alcatraz Island. I don’t like to visit negative places, and I can’t imagine it was a very happy place either for the military or the prisoners and guards. It’s cool that it’s still there and people do like those historical places, but I think that’s one I would not be going to. So the Thornton Beach State Park is closed to the public? Do you need like a pass or something to prove you’re a local? What do they consider a local? Is there a specific geographic circle or a California native? My Uncle lives not far from there. Great article. Thanks for all the info and the cool video! Daly City will be a very nice and wonderful place to be for my next vacation. I am beginning to realize the fact that California is really where I am headed for my summer vacation. I wonder why the Alcatraz island was converted to prison, do you have a reason for that I’ll really love to know the cause of this. Thanks for this review. Hi Salim, yes you would love a vacation to California and especially to Daly City. 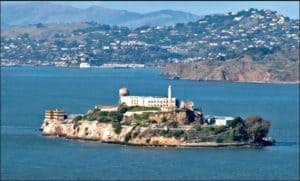 Alcatraz was made into a prison because they considered it impossible to escape being out on an island away from land. However, there are some that actually did escape. So their theory did not work out so well. 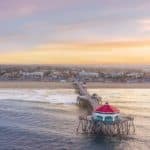 Thanks for this informative post, I love California but have never been there despite travelling to the United States multiple times I only read about this place and and the amazing activities as well as major events, and I have come to conclusionof visiting California during my next holidays, I hope it’s worth the visit. I can guarantee it will be worth the visit. You really can’t go wrong with any part of the California coast. It really just depends on what you are looking for in your vacation. Thanks for stopping by. Thanks for the post about Daly City. This is really beautiful. I liked the video, that you pasted to your post. I was in San Francisco many times and there are many things to see there. Thornton Beach State Park is a beautiful place to hike. We were there for a day and took many photos. Next time I will probably check Daly City too. Yes, you should check out Daly City next time. Definitely worth a visit to. Thanks for visiting beach travel destinations. Wow! Daly City is breathtaking especially with the Thornton Beach and Birton Memorial Beach. This is awesome review and its so great that you included the best months to go. I’ve been to San Francisco but never been to the hidden gems that you can recommended. I will bookmark your review since it practically covers all the information i need. Thank you for an insightful information. Hi Leahrae and thanks for the great post on Daly City. I am heading to California next summer with some friends, flying into San Fran. This looks like a great little getaway from the big city to enjoy the California Coast. Which hotel would be best for a group of guys? Hi Kenechi. Really the best choice for a group of guys is going to be the Comfort Inn or the Hilton Inn Express. These are probably geared more toward families and groups of travelers than the other selections. Have fun in Daly City California! Great and interesting post, you must have put in a lot of energy in writing this. 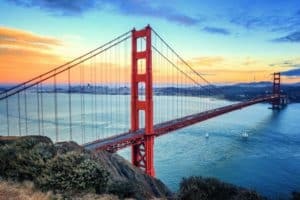 I think I like California, it is blessed with so many tourists attraction such as the Daly city, I like the image of the Golden gate and I will try as much a possible to visit there in my next vacation. Do you have any idea about the price of the available hotels? Hi Clement and thank you for visiting my Daly City California post. The hotel prices are really going to vary depending on what time of year you go and which hotel you choose. If you click on the hotel links individually, you can plug in a date and get a feel for the price 🙂 Thanks for stopping by! I always enjoy your post cos you literally take me on a voyage touring different beach destinations each time you write. And your eye for details is spectacular, must take a lot of time and effort to write such articles. California is a beautiful city and whenever I visit California, i really hope I would be able to take pictures on the Golden Gate Bridge. You are welcome Louis and I am glad you have enjoyed visiting Beach Travel Destinations. Please come back soon when you are ready to plan. I would love to help get your vacation plans together. California is an amazing place and is on my bucket list. What’s great about San Francisco is the proximity to other beautiful states and Canada. This is a great and informative post. I love traveling, and this would be a fantastic trip. My husband is planning a trip outside Japan lately. No doubt I will share this post with him. I’m excited as I am reading your post. I am glad you are looking forward to hopefully visiting California. It is definitely different from Japan, and you would have a great time. Please let me know if you need any further information. I really enjoyed reading your article. Daly City California looks amazing! I really enjoyed the video you provided. I really appreciate all of this information; things to do, places to eat, places to visit, the weather, motels to stay in. Such an abundance of well written information. I don’t feel a need to do any more research because you have pretty much covered it all. This looks like a great please to vacation. 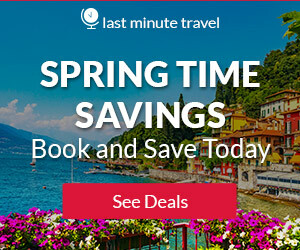 Do you have any recommendations for getting airplane tickets? Thanks for getting back to me. I should explore your site some more to see what else you have shared that I missed. I will check out your airfare post. I’m excited about visiting Daly City! You are very welcome Devara! Please let me know if you have any additional questions. Really nice article…and very detailed!!! I love the interface of your web!!! It looks very professional!!! I like the restaurants you just mentioned , you make is so easy for us Leahrae. Glad you enjoyed Omark. I too live in Florida. I would live in California in this area, hands down, if the darn house prices were not so high. I hope you can visit Daly City California soon! Hi I’m from the UK and interested in visiting here. What’s the best airport do you think to use in California? Thanks. You will definitely want to fly into San Francisco to get to this area. It would be the closest and a great place to start your vacation. Thanks for visiting Daly City California. This article makes me hungry for more. I would love to visit this part of the world at some point. Definitly on top of my list. Thank you for all the information. Great tips and recommendations. You are most welcome Anna and thank you for visiting my Daly City California post! WOW! Who needs Trip advisor when there are articles like this? It gives information about everything a visitor might want to know about Daly City. Could you please tell me what means of transportation I could use to get there from San Francisco? Which one is more convenient? Hi Effie! So Daly City is not far away and the easiest and most economical route would be to take the city bus, or BART. It is about a 15 minute ride 🙂 I am glad you enjoyed and thanks for stopping by Daly City California!